The Pittsburgh Vintage grand Prix, now in its 35th year, is our Club’s biggest annual event. 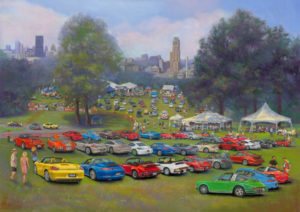 Come join hundreds of your fellow Club members, guests from other regions, and friends as we again gather on the lawn at Schenley Park to enjoy our cars, races and above all, camaraderie that has grown over the years. Whether this is your first PVGP weekend, or 35th, now is the time to register and get this event on your calendar. The PVGP takes place in scenic Schenley Park in the heart of Pittsburgh. This is one of 2 vintage races that occur on public streets in the world, the other of course being Monaco. It is also our largest fundraiser of the year – proceeds are donated through PVGP to the Autism Society of Pittsburgh and the Allegheny Valley School . Last year was a non-marque record for us and for the PVGP overall, raising $405,500 for 2016! This year promises to be better still, and once again sunshine is predicted for the ENTIRE weekend! 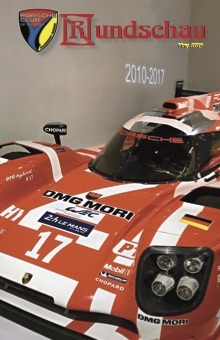 To top off the festivities, we will have a very special gathering of historic Porsches on display. To celebrate the 40th year anniversary of the Porsche 928 being named as the European Car of the Year at the Geneva International Auto Show, we have lined up a historic collection of 928s, including VIN #1 and VIN #6 of the initial 11 preproduction cars that campaigned the new model roll-out in 1977. Those two cars will be accompanied by a large gathering of many other very special and significant sharks on display. In addition, we will bring back the hugely successful Top 10 Peoples’ Choice Concours, which is open to all registered Porsches. Pre-PVPG Glacier Tour Rally – John Malobicky’s great rally route through the remnants of the ice age is returning for a third year. The rally will start from the DoubleWide Grill parking area, the location of our PVGP Welcome and Kick-Off Party. Mandatory Drivers meeting starts at 12:45 p.m. First car off at 1:00 p.m.This event has become so successful that we will be limiting registrations to the first 60 cars in 2017. Be sure to add this event to your list of activities when you register for the PVGP. Weekend kick-off Party at the Double Wide restaurant in Cranberry Township PA – FREE to attend (note – self pay cash bar and food). 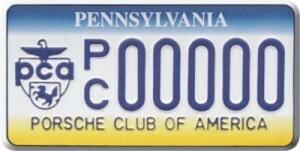 This will be our fifth year hosting our out-of-town club members traveling to participate in the PVGP. The festivities begin at 5:00 p.m. Come watch as the Porsches return from the Glacier Tour Road Rally, while enjoying the company of your fellow Porsche enthusiasts at this great venue near the host hotels and the turnpike, just north of Pittsburgh. In addition to an impromptu gathering of Porsches of all varieties, it will also include a special display of the 928s gathering for the 40th anniversary weekend. All local and distant Porsches welcome. The WALK-ON (On-site registration) rate is $85 per day (no weekend discount) and will include parking in the Porsche corral, lunch for two with unlimited soft beverages, eligibility for the raffles and door prizes, access to the ARPCA tents and race course. Note: Registration closes July 5th at 11:59PM. We may accept a limited number of late registrations but your credit card will be immediately charged. Email Ed Rice using link above to inquire. NO REFUNDS FOR ANY REASON, INCLUDING BAD WEATHER, WILL BE ISSUED AFTER JULY 5, 2017 AS THIS IS A CHARITABLE EVENT. Any registrations after close will be completed on-site at a “walk-on” rate (see above).